Soho Lofts, Minneapolis is a true loft conversion in the North Loop neighborhood. Originally home to the Johnson Nut Company, this warehouse was remodeled in 2007, and features 24, one to two bedroom units. Open floor plans with plenty of square footage makes these residences very versatile. Homebuyers looking for a live-work space can enjoy industrial finishes like 12 ft. ceilings, original brickwork, and large windows. 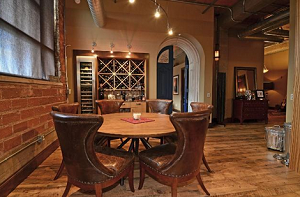 Soho Lofts are just a few minutes from the Central Business District. The North Loop neighborhood also offers every convenience a homeowner could want: restaurants, parks, and nearby shopping. 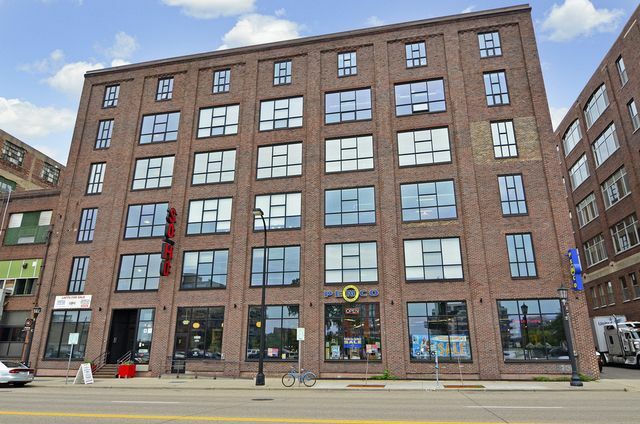 See all condos for sale at Soho Lofts or learn more about the building features and neighborhood amenities that make this a great living option in Minneapolis. If you're in the market for a true warehouse conversion, Soho Lofts offer all the features you'd expect from a classic loft in the North Loop: 12 ft. vaulted ceilings, original brick walls, and polished concrete floors. Units range from 800 to 2,270, and come with one of many different floorplans. Open floor plans give residents flexibility, and the option of live-work living. Each residence also comes with gourmet kitchens with silestone countertops, and stainless appliances. *Included with HOA condo fees. 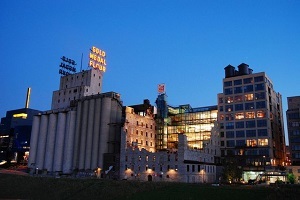 Residents of Soho Lofts are buying into one of the fastest growing neighborhoods in Minneapolis. The North Loop community is a happening part of town with an active arts scene, trendy restaurants and coffee shops and boutique shopping. With a Walk Score of 86, most errands can be accomplished on foot. Several nearby parks provide ample green space and outdoor opportunities for active residents. Bike trails, and an LRT station provide car-less alternatives for transportation. The North Loop is becoming increasingly popular with homebuyers, and as a result residents of Soho Lofts can expect to see an increase in property values over the next few years. Parks: Boom Island, Minneapolis Sculpture Garden, Mill Ruins Park, Gold Medal Park, Dickman Park, Sumner Field, Loring Park, Peppermint Park, Gateway Park. Restaurants: Bar La Grassa, The Loop Bar + Restaurant, Seven, Black Sheep, Borough Minneapolis, Sticks Restaurant Acme Comedy Club, Be'Witched Deli, Sapor, Bunker's Music Bar & Grill, 112 Eatery. Shopping: Saks Fifth Avenue OFF 5th, Macy's, Nicollet Mall, Taget, Marshalls, Walgreens, Minneapolis Farmers Market, Gaviidae Common. Schools: Transition Plus Services (public, 9-12) Twin Cities International Elementary School (private, K-4), MN International Middle Charter School (charter, 5-8), DeLaSalle High School (private, 9-12), Bethune Community School (public, K-5), , and New Horizon Academy (private, PK).